With over 150 years of combined legal experience, our diverse legal team is ready to help. Count on Ortiz & Batis, P.C. to handle your case with the highest efficiency and efficacy. 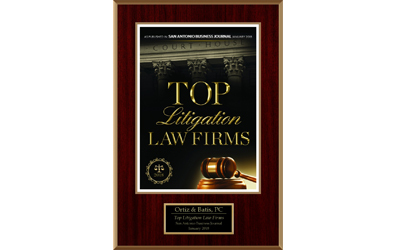 On February 1, 2017, Ray R. Ortiz and Edward J. Batis, Jr., formed ORTIZ & BATIS, P.C. (“the Firm”). The Firm consists of a group of competent and diverse attorneys with the experience and intelligence to handle and litigate cases efficiently, the ability to accurately and thoroughly evaluate the strengths and weaknesses of a suit, and with the ability to make the appropriate recommendations to its clients in order to protect their interest. 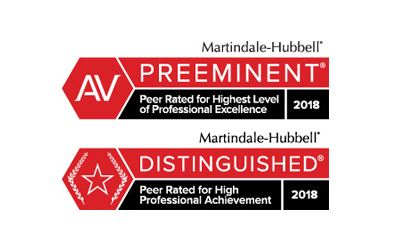 Our attorneys are further experienced in the representation of insurance carriers and their insureds, and we know how to manage a file efficiently and effectively. The Firm’s Managing Partner is Ray R. Ortiz. The Firm is compromised of 7 attorneys from diverse backgrounds and experiences practicing out of San Antonio, Texas. The Firm’s attorneys are also supported by a diverse, competent and resourceful administrative staff. The Firm’s attorneys have handled litigation and rendered advice in the following practice areas: Business Law & Commercial Litigation; Construction Litigation; Governmental Law; Insurance Coverage & Litigation; Labor & Employment Law; Personal Injury, General Liability & Products Liability; and Trucking & Transportation. The Firm’s philosophy is to give its clients the same quality of representation, effectiveness and level of service provided by nationwide law firms but at what it believes are fair and reasonable rates.